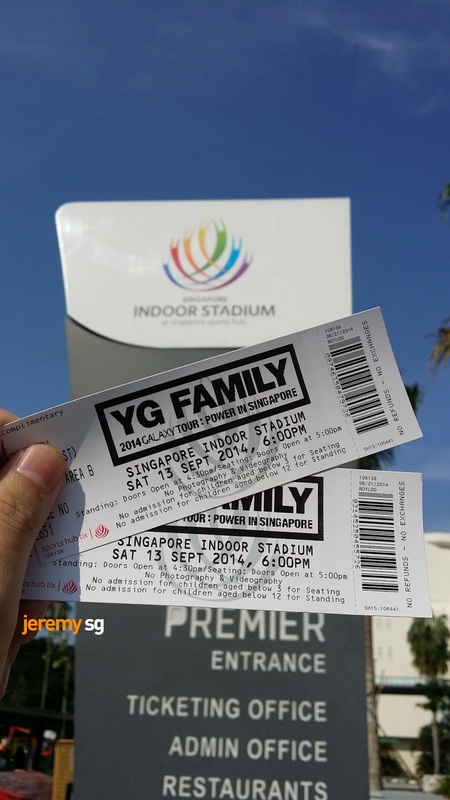 Last Wednesday, I received a call from a young lady telling me that I have won the tickets to the YG Family 2014 Galaxy Tour: Power in Singapore. Sounds unbelievable, but when the email came, it was all real! Since I arrived early on Saturday afternoon, I went around the new Sports Hub to take a look. Just outside the entrance on the second floor of the Singapore Indoor Stadium was the Samsung Galaxy booth. 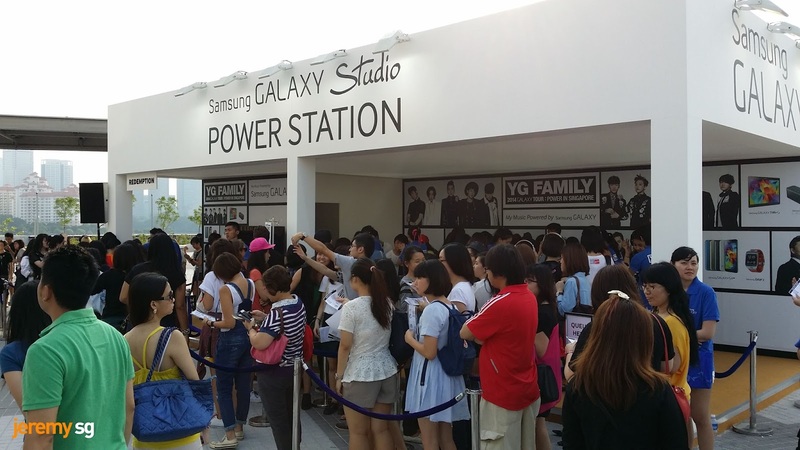 There was a long queue to try out the latest gadgets from Samsung, plus I think you can get some limited YG Family merchandise there too (saw some fans with small badges of their artists coming out from the booth). 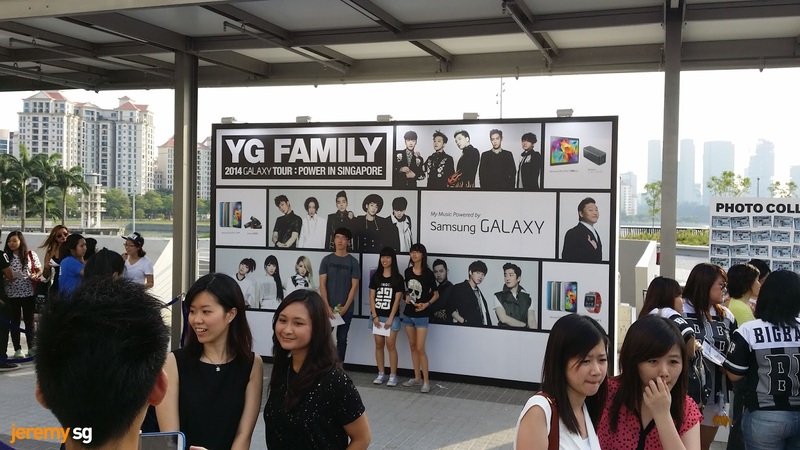 There was also chances to take photo with the YG Family in the background and get it printed! Anyway, I managed to win tickets to the YG Family 2014 Galaxy Tour: Power in Singapore all thanks to SingTel mio TV and ONE TV Asia! 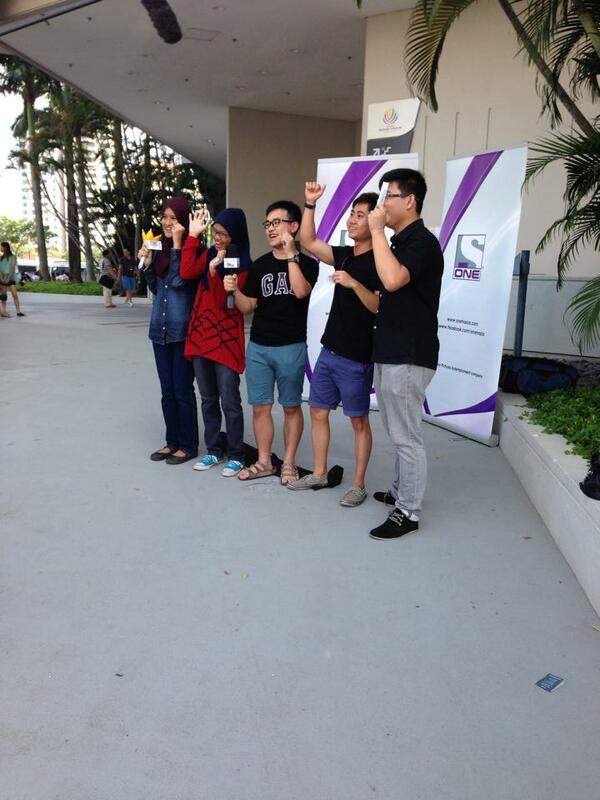 They did a very short recording for all the winners, so I might stand a chance to be on TV. Watch out for my one second of fame on their channel! (Maybe I might not even appear). After collecting the tickets, I took some time to roam around the place again while waiting for my guest. When we went in, it is close to start time and we just watch some of the MVs played by. 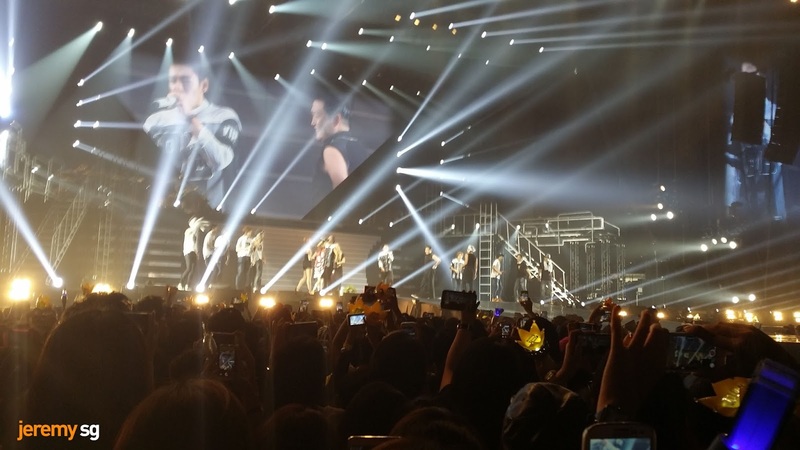 The concert started, 2NE1, Epik High, Winner, Big Bang went from one of their hits to another. 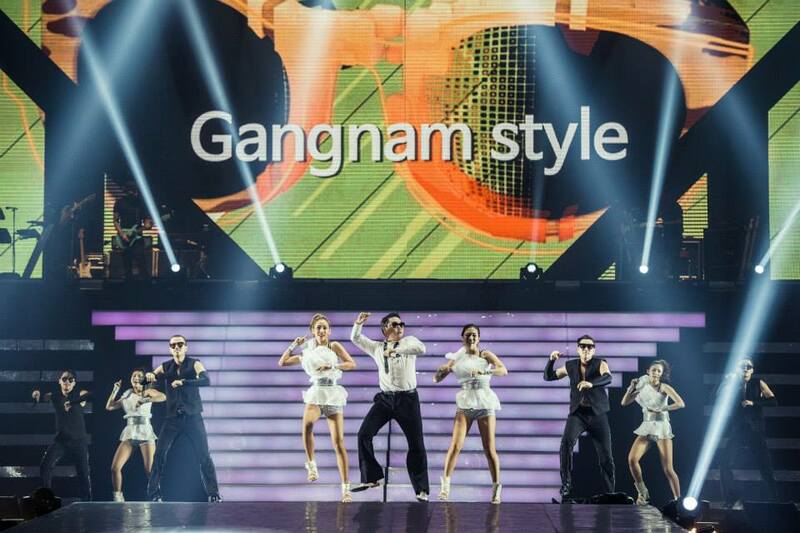 The atmosphere was already quite high when the mood maker, PSY came out! Just himself alone, he managed to push the mood to the climax! What I like the best of the concert are the "crossovers". One of the cross over was Mino (Winner), Dara (2NE1) and TOP with "Doom Dada" song. I like Dara dressed up with the white mustache and the huge mic behind her. The lyrics was changed to "Sandara, doom dara~". Haha! Standing in the standing pen (right beside the stage), you can see the artists up close! Really close. Managed to catch a group shot right at the end here when everyone started taking photos. Haha. 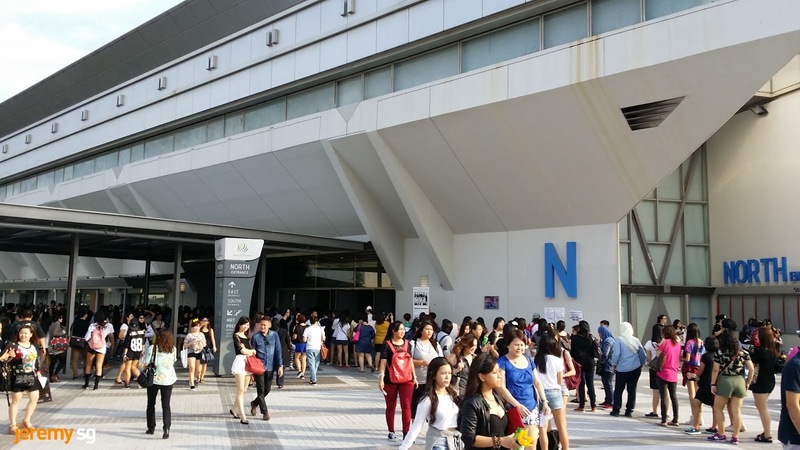 This is the first time that the whole YG Family is here! I am so glad to be at the concert! Hopefully there is another chance to see them all back in Singapore soon!